Paddocks Blind tee shots are always difficult. 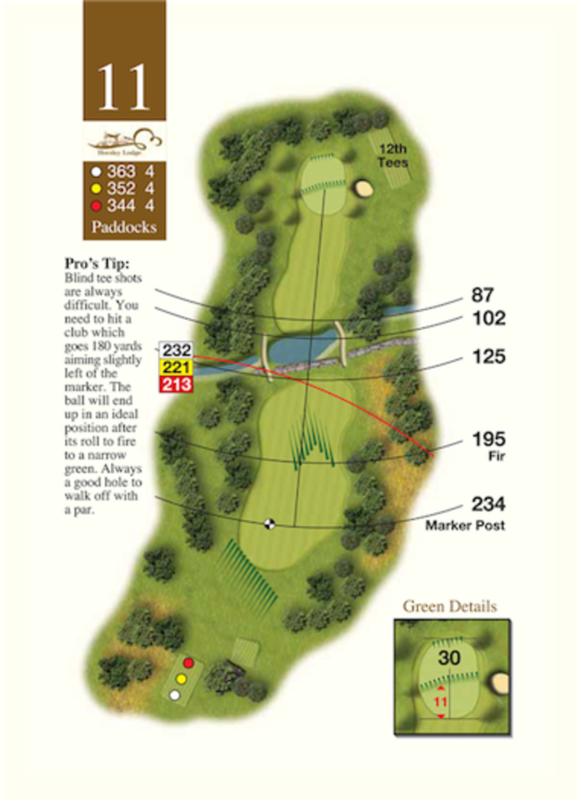 You need to hit a club which goes 180 yards aiming slightly left of the marker. The ball will end up in an ideal position after its roll to fire to a narrow green. Always a good hole to walk off with a par.